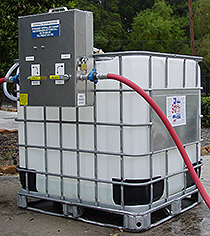 SuperAll Environmental is a distributor for several manufactures of high-pressure, hot water, pressure washers. 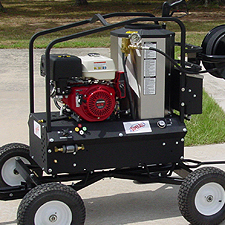 Our pressure washers are highly customizable for mobile and stationary applications and are specially engineered to work with SuperAll. Our ExactaDose Dilution System is an innovative cleaning and dosing system designed specifically to deliver SuperAll at the exact concentration necessary to deliver the desired results. It requires no electricity, air, nor any other power source to operate; only flowing water. 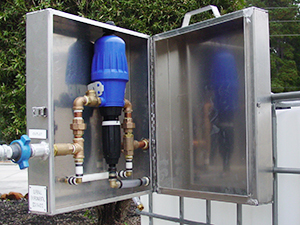 ExactaDose Dilution Systems are available for purchase or rent. Not sure which product(s) are right for you? Give us a call, we can help you decide based on your specific needs.